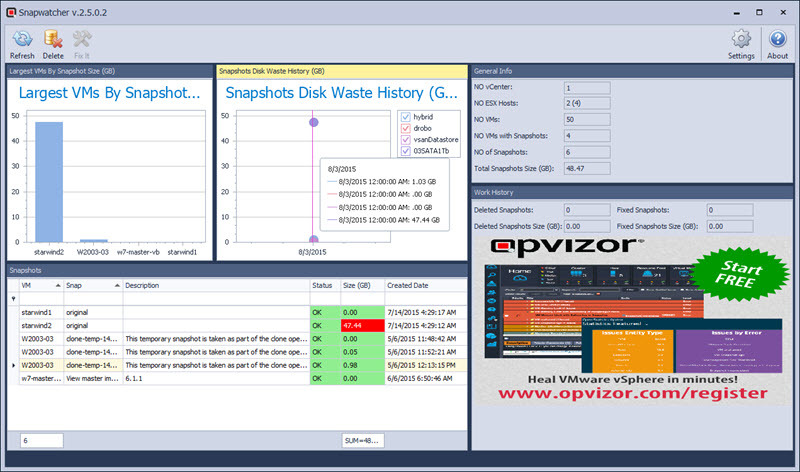 Snapwatcher for VMware is a product from Opvizor destined for VMware admins and which allows to monitor, fix and delete VM’s snapshots within single console. 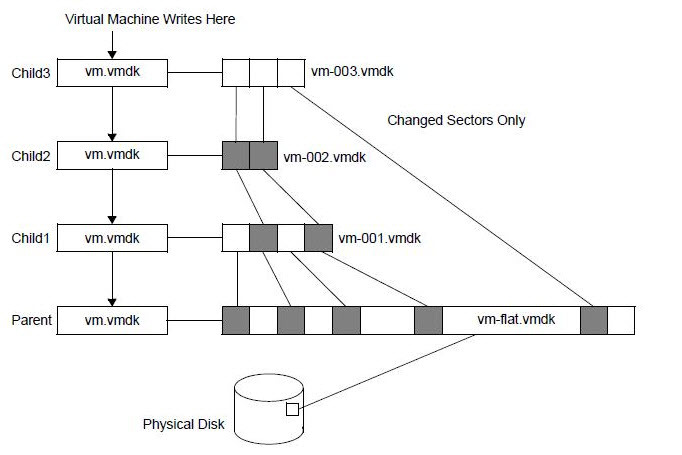 Snapshots at the VM level are something that’s really something cool to have, but VMware’s best practices concerning snapshots says don’t use snapshots, or use them sparingly. 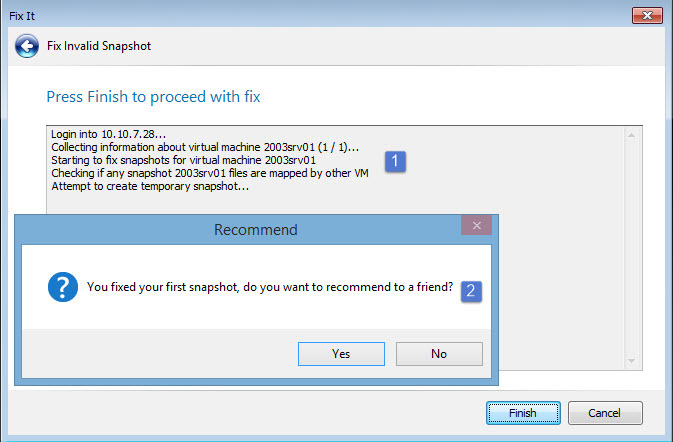 VMware says that If you need/want to use snapshots, just use them sparingly and don’t keep them for long periods. 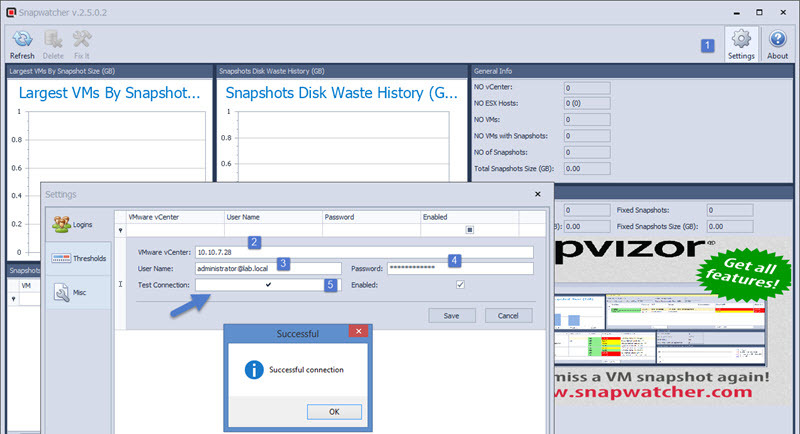 Snapshots can go wild and you might end-up in a situation when you are unable to delete the virtual machine snapshot due to locked files. I guess you got the point. VMs snapshots are good, but can go out of control from the size perspective…. and can broke down. 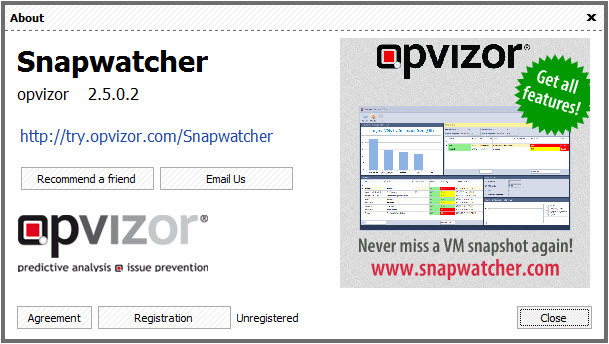 That’s why Opvizor’s Snapwatcher is something interesting to look at as it takes away the pain of snapshots. 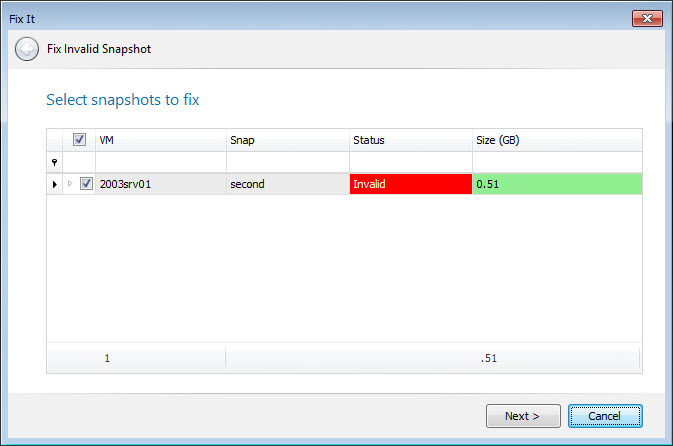 The fixing mechanism allows to fix broken and invalid snapshots. 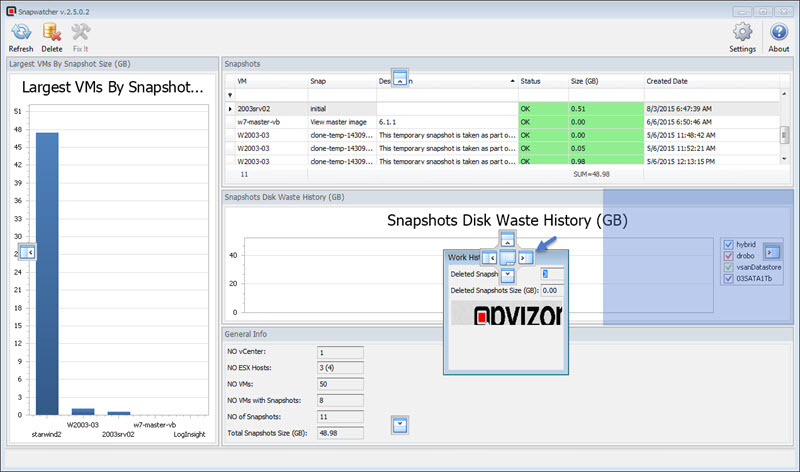 The product can be downloaded from Opvizor’s website here and it installs as 14 day’s trial. You’ll need a Windows machine where you’ll install the product. It can be a monitoring station you’re already using for your virtual infrastructure or any other Windows system. 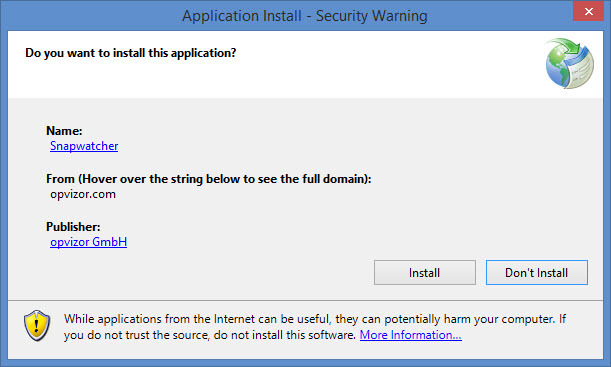 The installer is small .NET file which launch the download in the background. Once installed, you can hook your vCenter(s) server(s) to it by providing the IP address (or DNS name), login and password informations. You can test the connection before going forward, which avoids any mistakes to typos for the password field. Once done click save button. 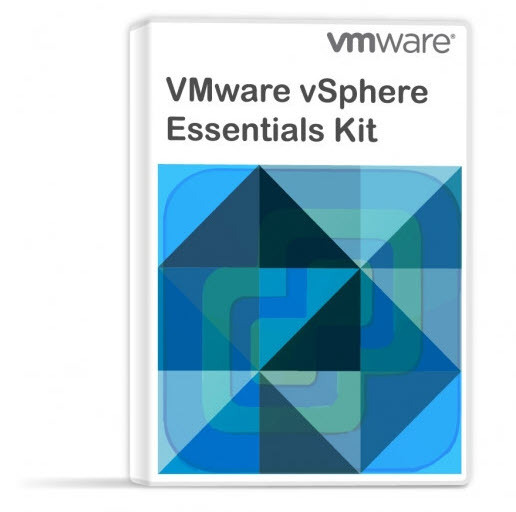 This triggers the initial connection to the vCenter and after few seconds you’ll get the main screen. The main dashboard can be fully personalized. You can drag and drop the individual sections arround to snap them where you like. You can also resize the different sections by dragging the border by left-click your mouse and hold while dragging. When larger infrastructures monitored, it is probably good idea to group some elements. When you click and hold column > you drag-and-drop from right to left (or the other way around) to change place of the whole column. You can filter what you want to. In my opinion the more useful way is to filter by host or by size the snapshot. You right click the column > and select Group by this column. This gives you the group by host view…. It’s possible to to even add Sub-group and add additional grouping there…. You can chose which columns will be in a subsection by clicking the Column’s Header > and then Column Chooser. Snapwatcher is bundled with many themes and you can change the defaults by going to Settings > Misc > Skins. 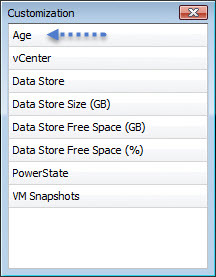 Within the settings you can also add another vCenter server(s) by going to the Logins tab. Really simple UI giving you just the essentials. Snapshot’s Name – usually if there are invalid or orphaned snapshots left behind some backup software, you can know which product’s fault it is. Description – What the snapshot was taken for, description field is useful to fill! Size – depending of the size the color goes fro Green (small) > Yellow (medium) > Red (big). This is triggered by the thresholds, which are configurable if ou go and have a look in Settings > Thresholds. 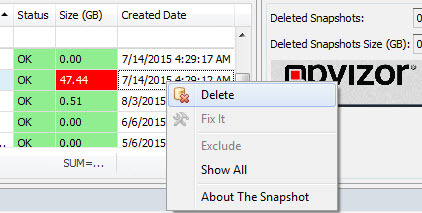 Then there is an easy way to delete a snapshot or fix broken or invalid ones. The right click is your friend…. After deleting a snapshot, the statistics will show automatically in the Work History section so you’re able to track the deleted snapshots. And the final screen informing you how it went.